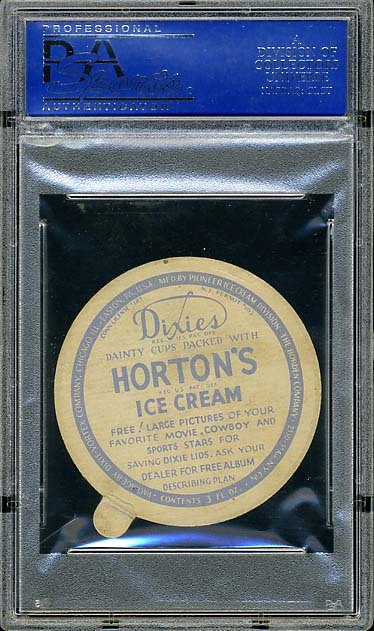 In 1938 Dixie Cup included Sammy Baugh on the lids they produced. 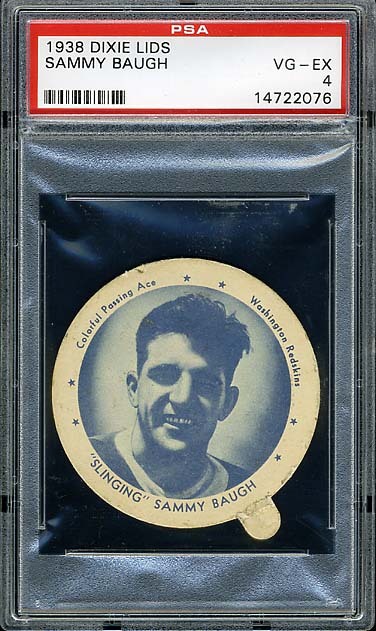 This is the closest item there is to a true Sammy Baugh rookie. 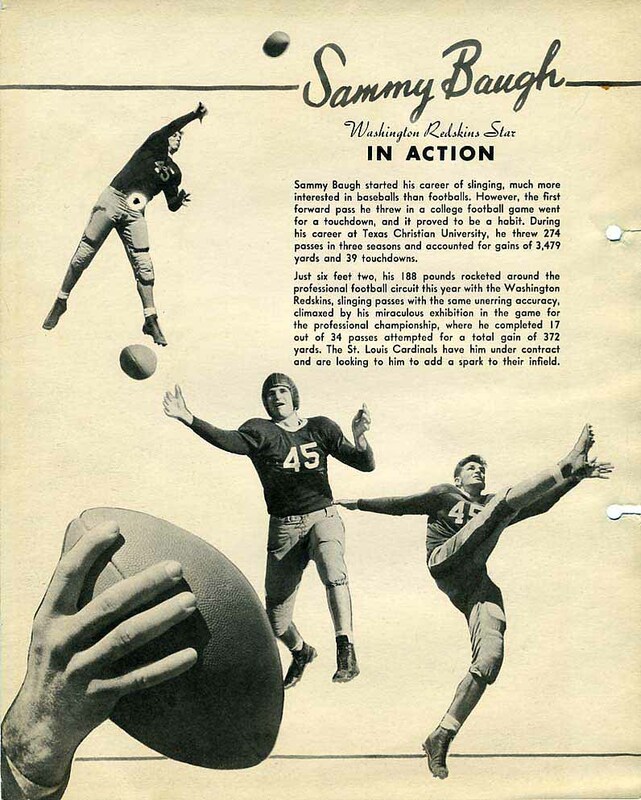 Sammy Baugh’s rookie year was 1937 and the Redskins won the league championship. Besides the Dixie lid, there were also premiums that could be obtained through the mail. 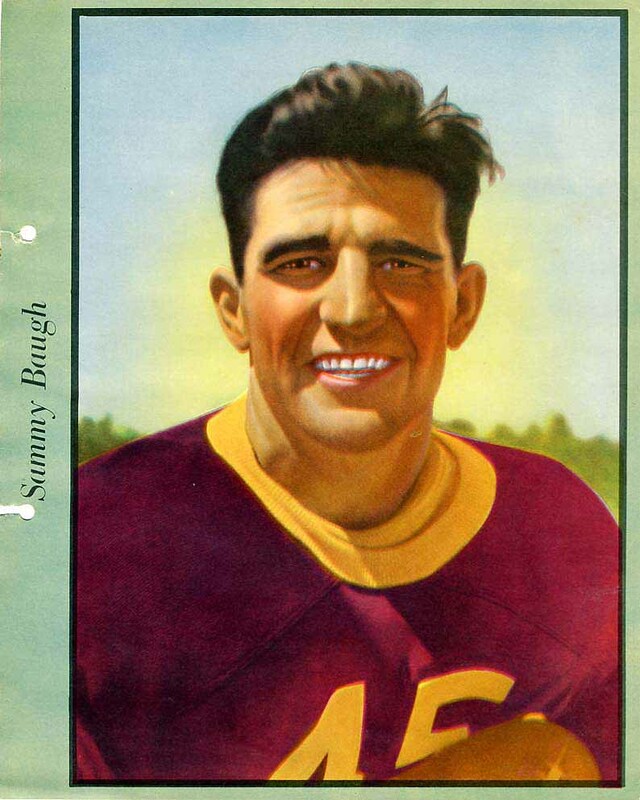 Sammy Baugh was featured in the premium set as well. Below are nice examples of both “rookie” Sammy Baugh items.